It could be something as simple as visiting a different coffee shop than usual or as involved as driving across the country, but either way, there’s not a Wi-Fi hotspot in sight. 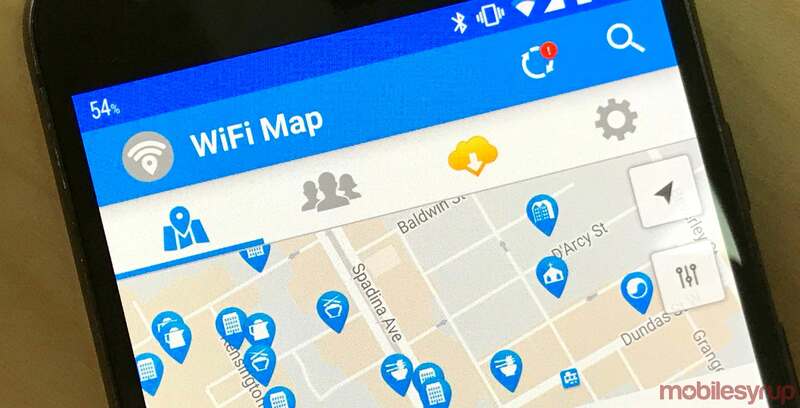 Wi-Fi Maps might be the solution you’re looking for. With a free version and a pro version of the app, both local adventurers and globetrotters are able to locate and find passwords for local Wi-Fi hotspots almost anywhere in the world. Not only does the app include over 100 million accessible Wi-Fi hotspot locations, but users are also able to input passwords for locations they’re visited for other users to access later. While the free app is ideal for users looking to avoid data overages from downloading apps, playing videos and checking email, while on the go. The travel version on the other hand is a great tool for frequent travellers who have trouble finding reliable internet while hopping the globe. Another interesting difference between the two versions is that pre-populated Wi-Fi passwords are viewable in offline mode with the free version, though the app automatically stores all the Wi-Fi info while in offline mode with the pro version. The pro version is available for $4.99 CAD, and offers some great perks despite the wide functionality of the free app. 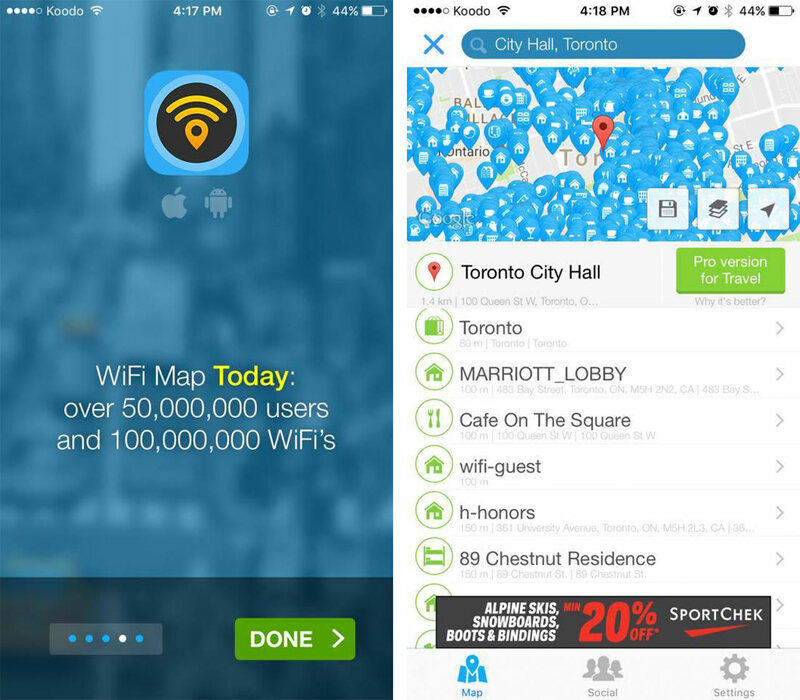 Wi-Fi Map is available on both iOS and Android.